LEXINGTON, Ky. (Oct. 21, 2015) — India’s people, politics and economy are the focus of the University of Kentucky Patterson School of Diplomacy and International Commerce Fall Conference 2015. Every year, the Patterson School holds a fall conference focused on a pressing international issue or key global development. The dramatic rise of India and its increased importance in the economic, political and security spheres made this a natural choice for 2015. “Today, India and China share the title of ‘fastest growing economy in the world.’ With a growth rate of 7 percent, the subcontinent has become a major driver of the global economy,” said Ambassador Carey Cavanaugh, director of UK’s Patterson School of Diplomacy. “The key question is whether needed government reforms can be advanced that will continue to lift millions from poverty and maintain the subcontinent’s phenomenal economic momentum,” he said. As part of the Patterson School’s conference, Global CEO Sandip Sen of Aegis will deliver the welcoming keynote address, “The Economic Story of India,” at 7 p.m. Thursday, Oct. 22, in the William T. Young Library Auditorium. Aegis is a Mumbai-based business process outsourcing and technology company, with 57,000 employees across 13 countries. Aegis’ growth has mirrored that of India with corporate revenue expanding from $52 million in 2003 to more than $1 billion today. Sen’s address is free and open to the public. For a video interview of Sen, visit https://youtu.be/Jxm-gOxMwt8. As Global CEO, Sen is well placed to evaluate the dramatic changes that have been taking place in India, as well as the challenges posed with managing such growth. Sen also teaches consumer behavior for the MBA curriculum at the Xavier Institute of Management and Entrepreneurship in Bangalore. He holds an honors degree in economics from Presidency College in Kolkata and a master’s degree from the Xavier Labor Relations Institute in Jamshedpur. 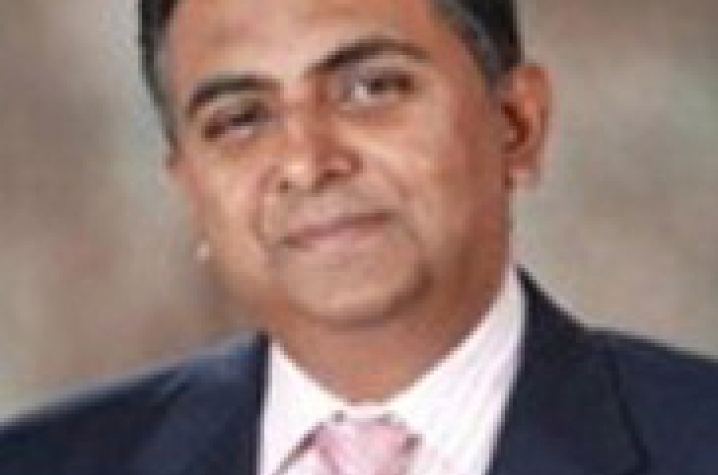 Ashok Malik delivers the closing keynote address at 6:30 p.m. Friday, Oct. 23, in the Hilton Hotel Salon. Malik is a senior Indian journalist and political columnist for several national and international publications, including The Pioneer, Asian Age and NDTV. He is a member of the Board of Governors of the Indian Institute of Corporate Affairs and a senior fellow of the Observer Research Foundation, a world-renown think tank. In his writing, Malik focuses on the increasing interplay of Indian domestic politics and foreign/trade policy as well as on the broader process of globalization and how it is influencing policy choices in in health, education and urbanization. In 2011, he co-authored a paper: "India’s New World: Civil Society in the Making of Foreign Policy," published by the Lowy Institute for International Policy, Sydney. In 2012, his book "India: Spirit of Enterprise" was published. It encapsulates the story of the growth of India’s leading private sector industries since 1991, and their role in the Indian economy. Patterson School’s new Visiting Professor of Diplomatic Practice is Anupam Ray; he will provide concluding remarks on Friday. Ray returned to the Indian Ministry of External Affairs in New Delhi in 2011, serving as deputy coordinator of the 2012 BRICS Summit, director in India's new Development Partnership Administration (India’s equivalent of USAID or DFID), and most recently as a director in personnel. From 2008-2011, Ray was deputy head of India's United Nations Security Council team in New York. Earlier diplomatic postings included London, Dhaka, and Bonn. He has been assigned to the Patterson School for two years.